New Jersey Footlights: Exit 82 Campaign to raise funds for a sound system! Exit 82 Campaign to raise funds for a sound system! to the rising costs of sound rentals and equipment. That is where YOU come in! Exit 82 has joined Ocean First's CROWDRISE Campaign to raise funds for a sound system! 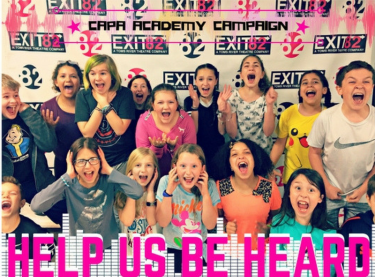 So please show your support by donating and spreading the word to help us give our CAPAA performers the voice they deserve! Click here to help our kids!